Welcome to the Trendy Community! 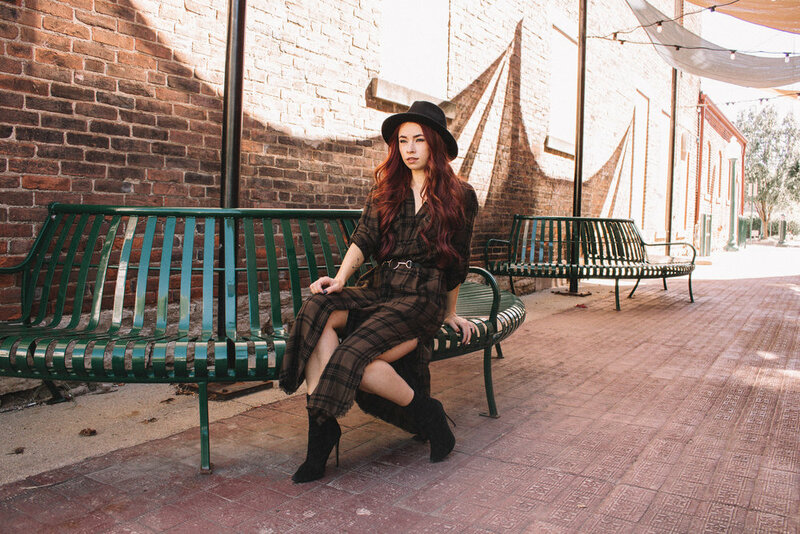 This is a destination for my tribe to find new businesses to love, places to travel, and products to try because here at Trendy in Indy, we believe in sharing real stories that you can relate to. My followers appreciate my genuine personality as I share everything from the no makeup, 16-hour workdays to the styled photoshoots that look more glamorous than they really are. 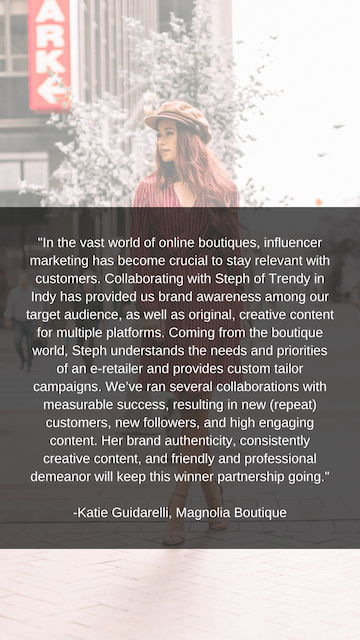 I utilize my PR background combined with passion to tell captivating stories to enhance brand awareness and drive results for partners like you within the fashion, beauty, and travel industries. 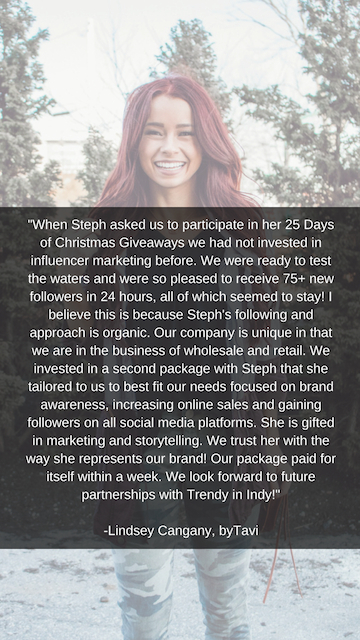 Email me at trendyinindy@gmail.com for my complete media kit including stats, packages, and pricing options.